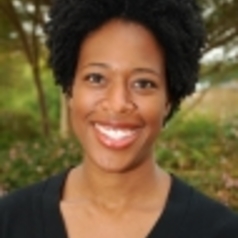 Nicole Gardner-Neblett, Ph.D., is an Investigator at FPG Child Development Institute and Research Assistant Professor in the Department of Psychology at The University of North Carolina-Chapel Hill. Dr. Gardner-Neblett’s work at FPG focuses on researching factors that promote children’s language and communication development. Dr. Gardner-Neblett studies the oral narrative development of African American children in relation to children’s reading development. In addition, Dr. Gardner-Neblett’s work involves designing and implementing professional development programs for teachers to promote children’s language and communication development. Dr. Gardner-Neblett holds a Ph.D. and MA in Developmental Psychology from The University of Michigan and a Sc.B. in Psychology from Brown University.